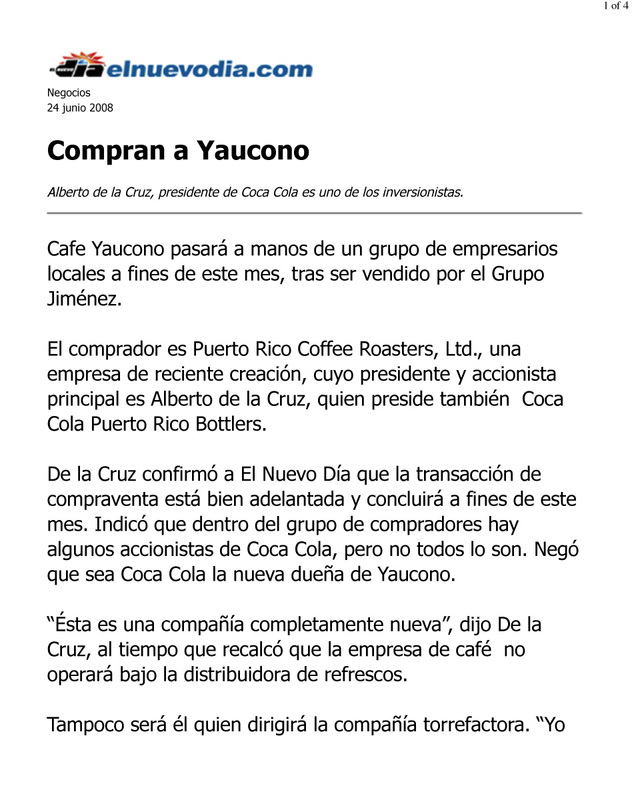 Yaucono sale – Press Clippings - Castellanos Group P.S.C. 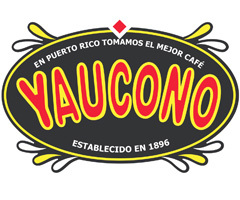 Cafe Yaucono past into the hands of a group of local businessmen, having been sold by The Jimenez Group. 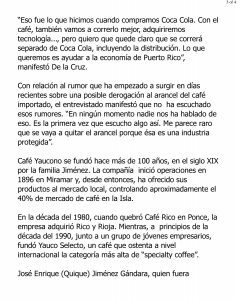 The buyer Puerto Rico Coffee Roasters, Ltd., an established company, with chairman and main shareholder Alberto de la Cruz, who also chairs Coca Cola Puerto Rico Bottlers Corporation. 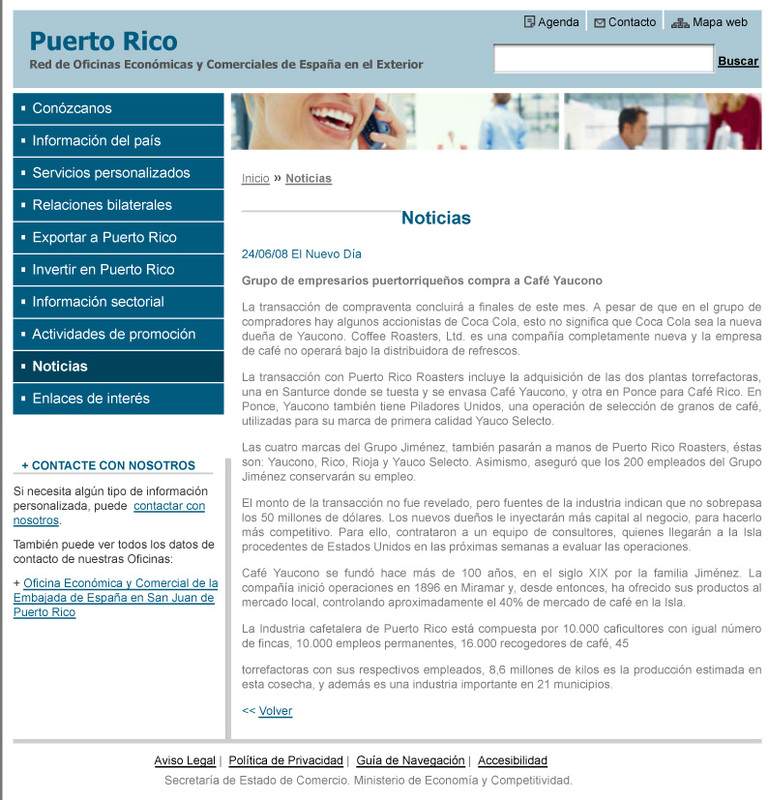 The information contained in this website is provided for general informational purposes only. 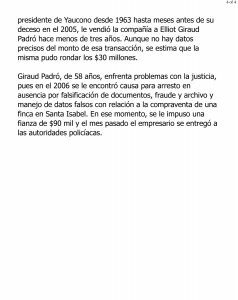 Any information sent to Castellanos Group P.S.C. by e-mail or through this website is not secure and not confidential. 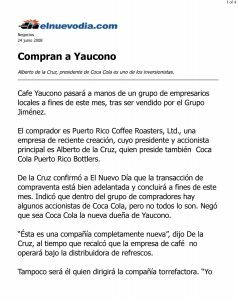 Communication with Castellanos Group P.S.C. 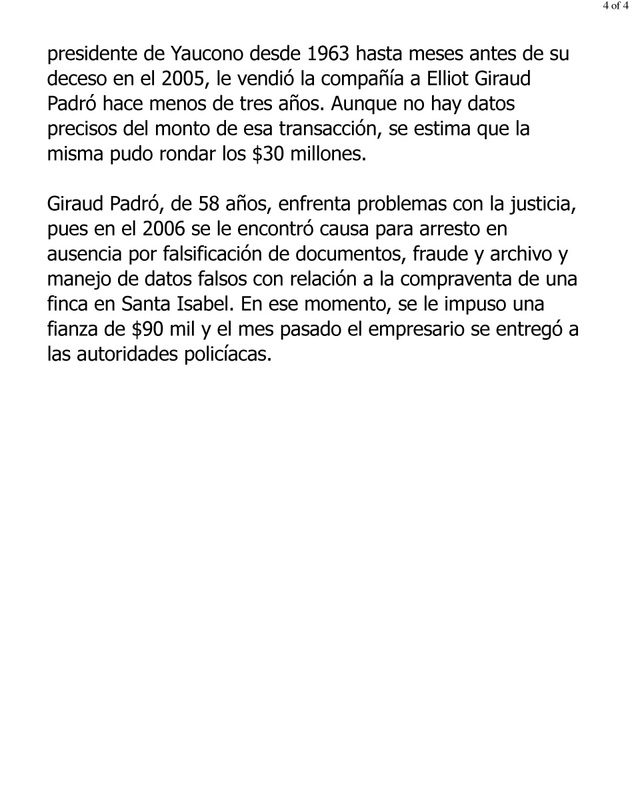 by e-mail or through this site does not constitute or create attorney-client relationship with the firm. 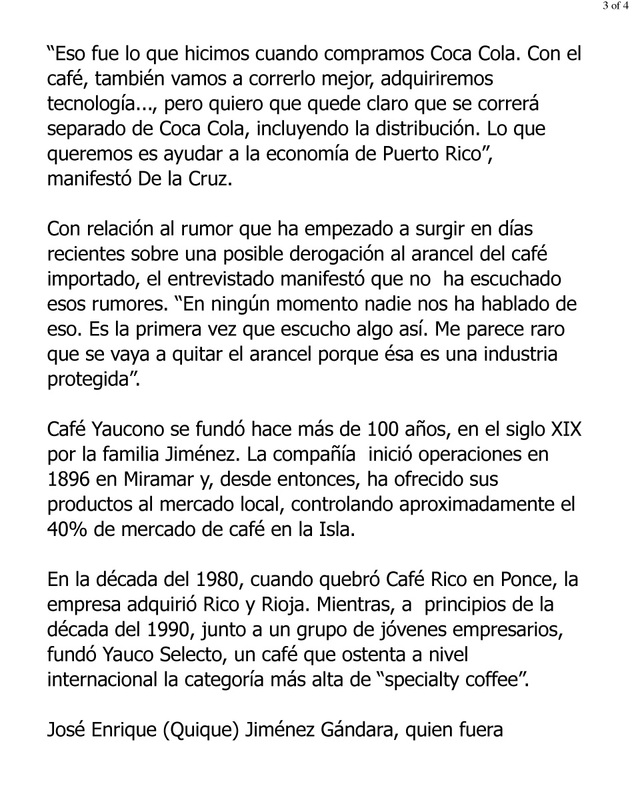 Alfredo Castellanos, P.S.C. 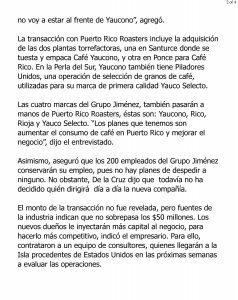 continues to operate independently, apart from Castellanos Group P.S.C.. 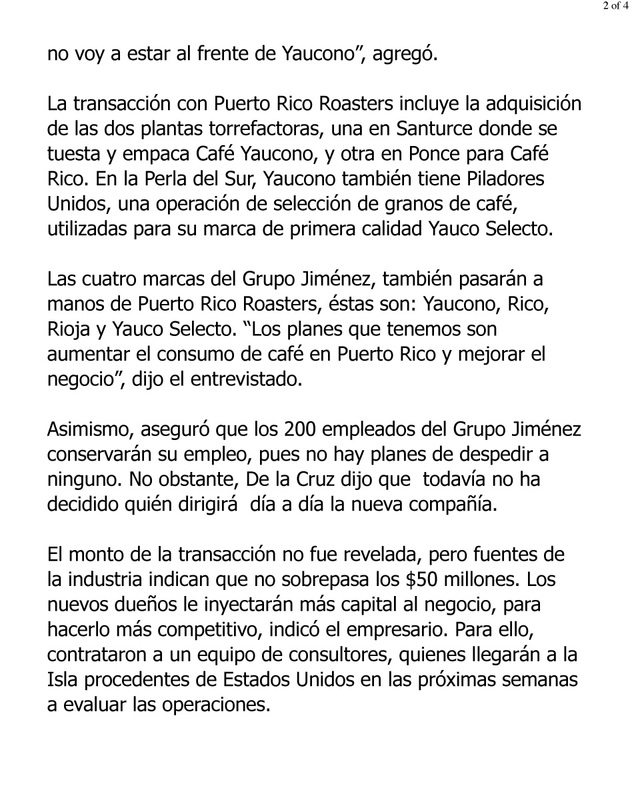 Copyright ® 2019 Castellanos Group P.S.C. All rights reserved. Web development & Marketing by Korber Group Inc.